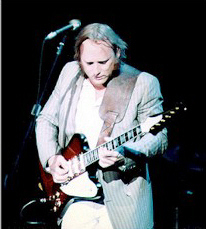 Stephen Arthur Stills was born in Dallas, Texas on January 3rd, 1945. Richie Furray in folk group called "The Au Go Go Singers." They released one LP called "And they call us au go go singers." on stage at "The Montery Pop Festival" when Neil didn't show. In 1968, Buffalo Springfield disbanded. & Paul Kanter), "49 Bye-Byes" (Stills) and "Helplessly Hoping"
"Woodstock", which Neil Young would join them. Christopher and the old man" and "Cold Cold World." of live in concert songs. "Long may you run" and Stills tunes "12/8 Blues." CSN including "Daylight Again", and "Allies." 1988 would show a release of CSN&Y's "American Dream"